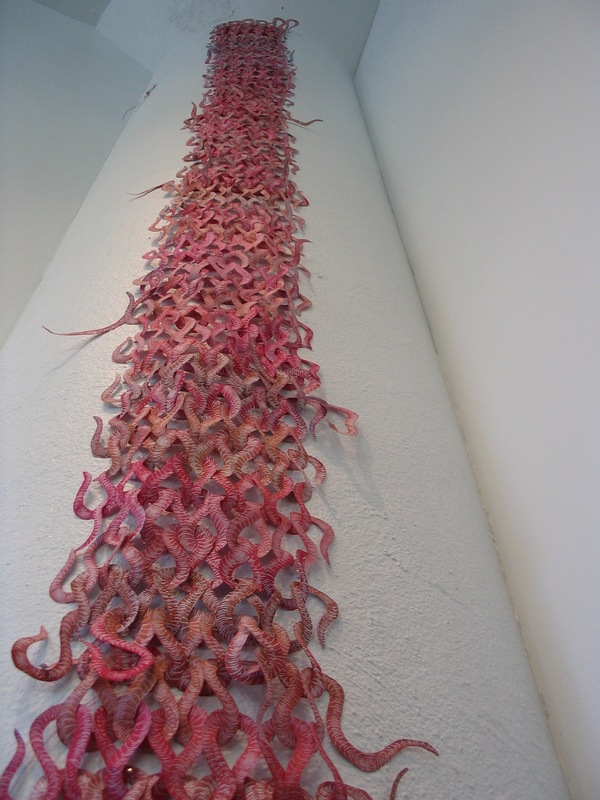 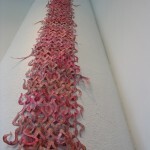 Worm Scarf, 2005, 240×12”, water-based woodcut units cut and looped together. 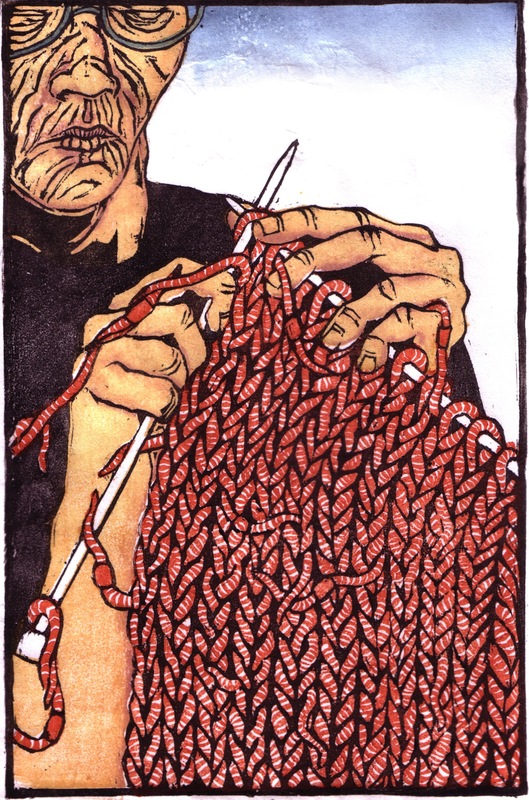 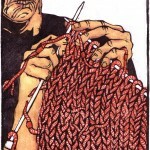 Knitting Her Fear (Knitting Worms), 2005, 18×12”, water-based woodcut. 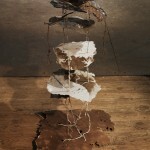 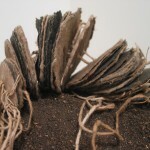 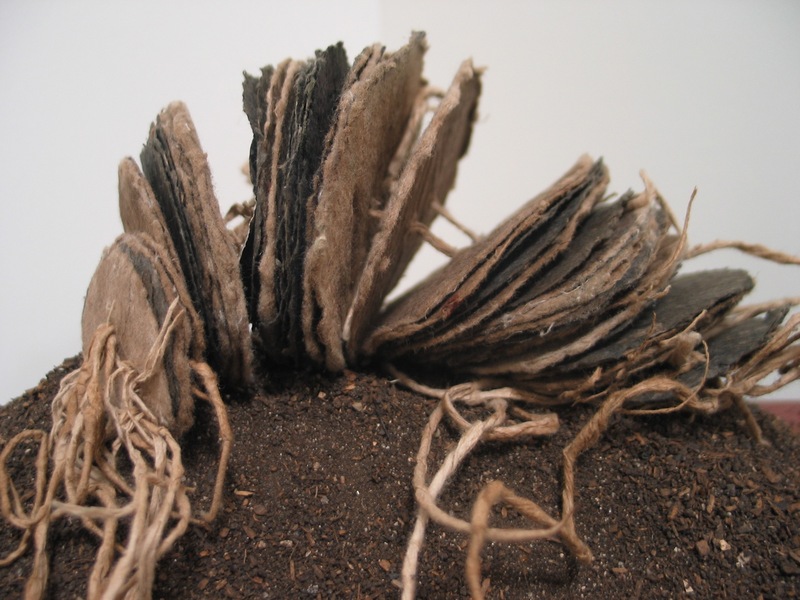 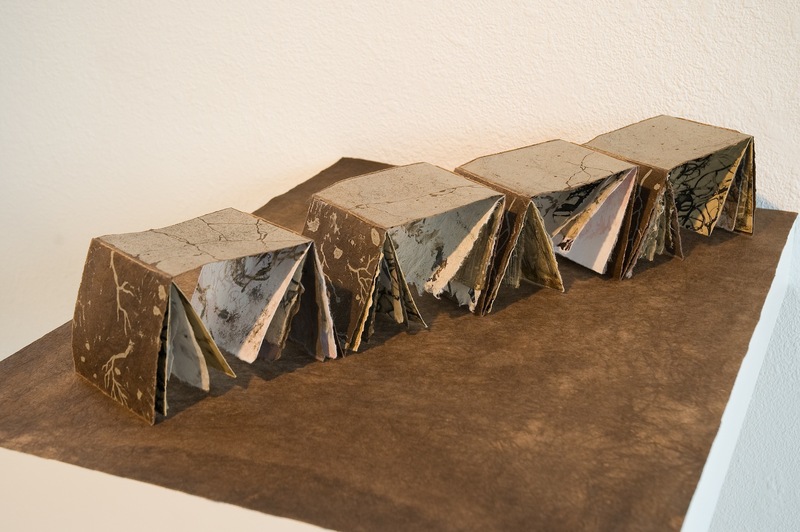 Clod: A Book of Soil, 2007, 3x5x12”, handmade paper book with spun paper thread. 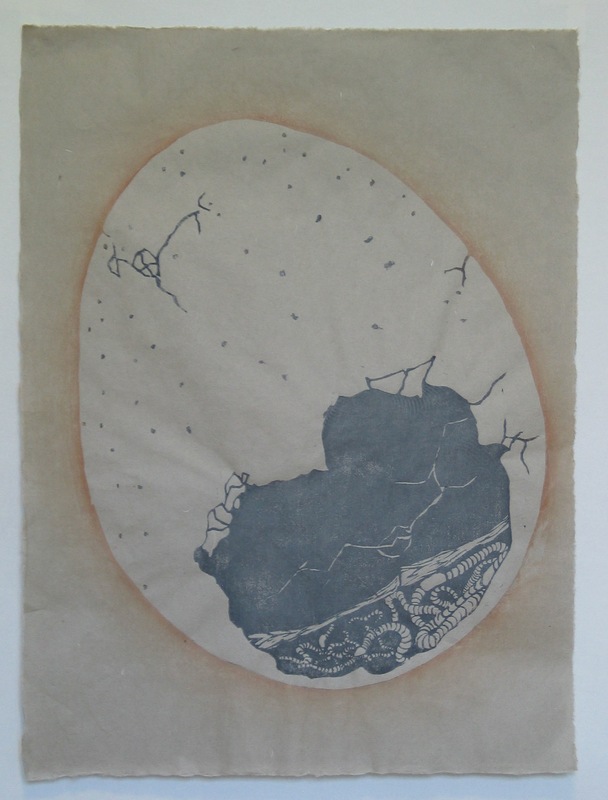 Cracked and Inhabited, 2007, 20×15”, water-based woodcut. 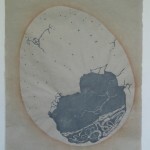 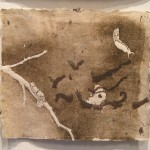 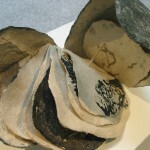 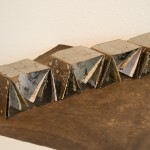 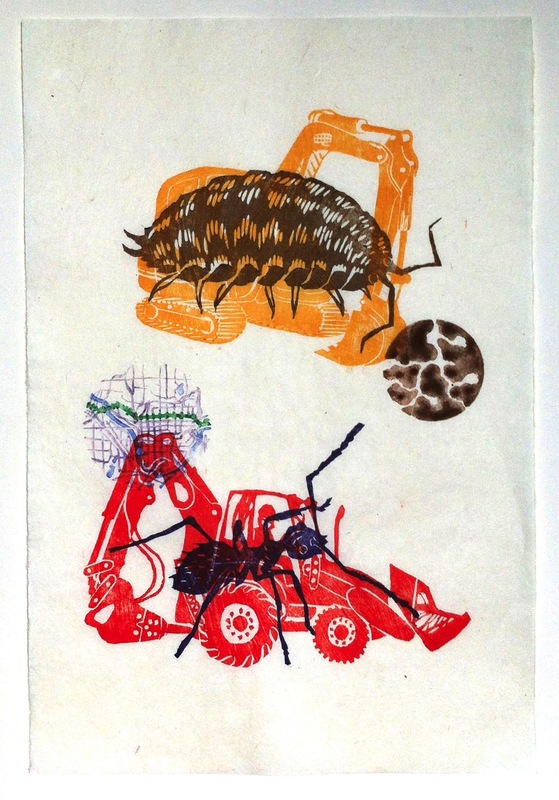 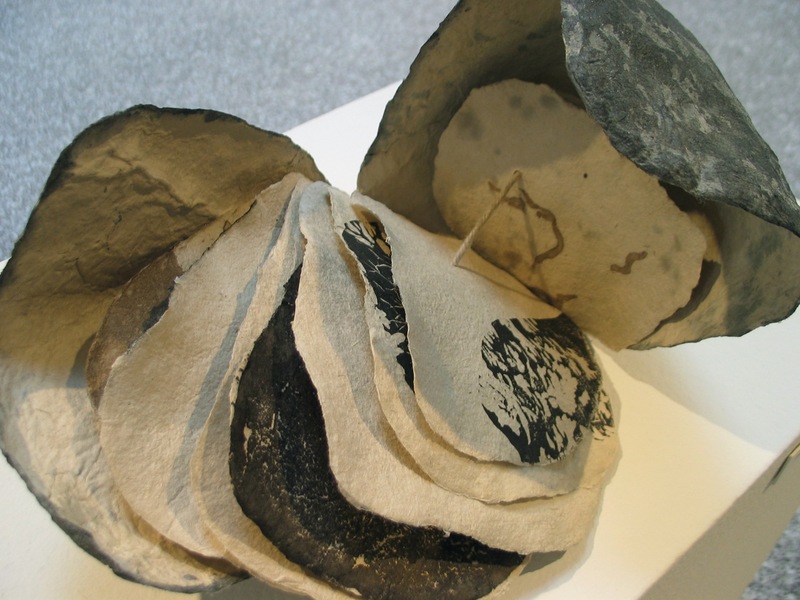 Tending to Decomposition: Evidence (detail: slugs), 2008, installation of 10×12” sheets of handmade paper, detail shows one sheet with pulp painting, monoprint, and woodcut. 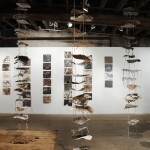 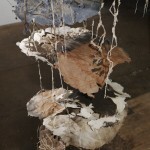 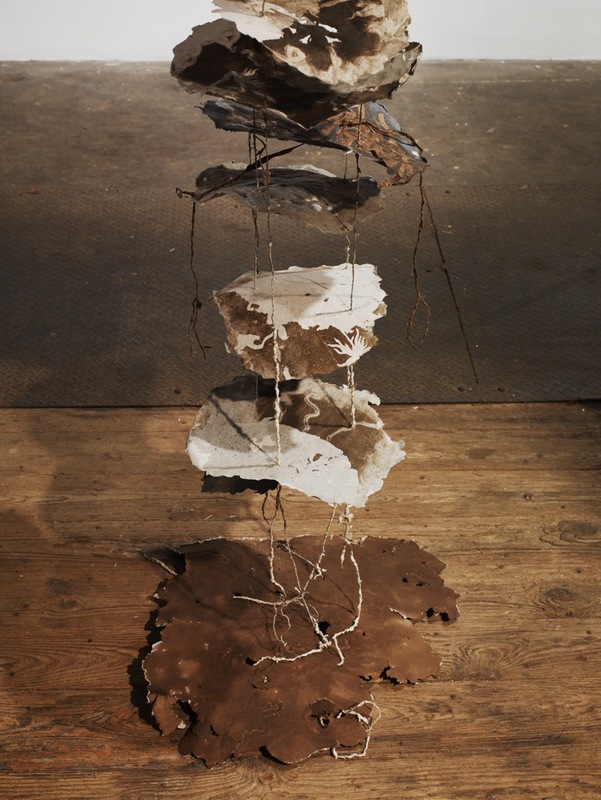 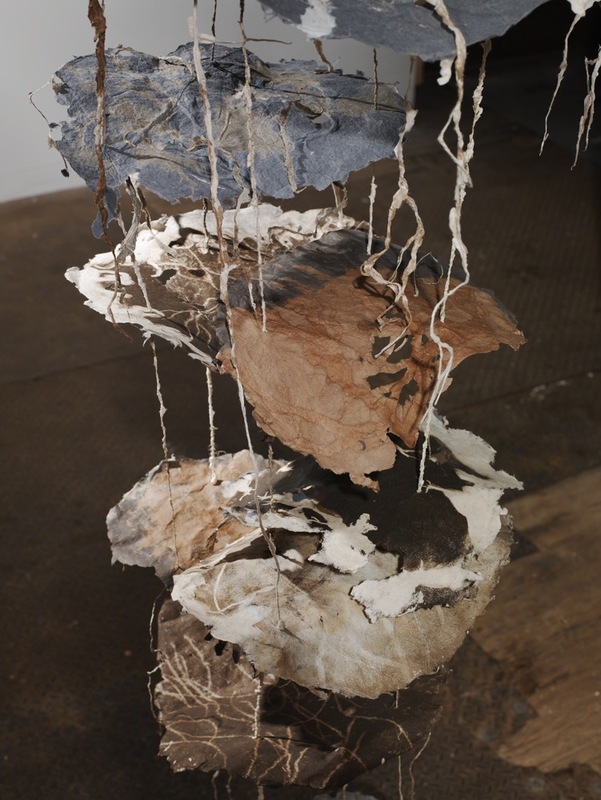 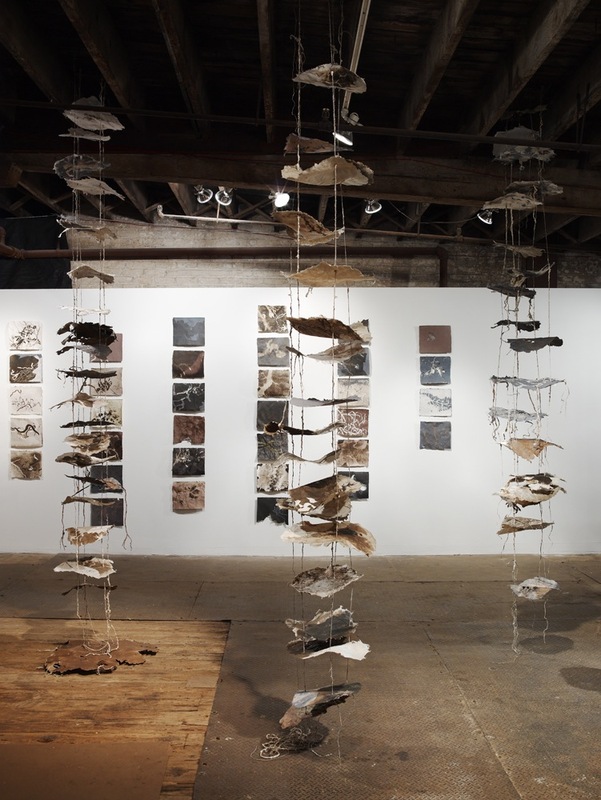 Installation view of Tending to Decomposition: Suspended 1, 2, and 3 (foreground) and Tending to Decomposition: Evidence (background), 2008, 132x180x180”, handmade paper with pulp painting, monotype, woodcut, walnut dye, and spun !ax string with paper pulp. 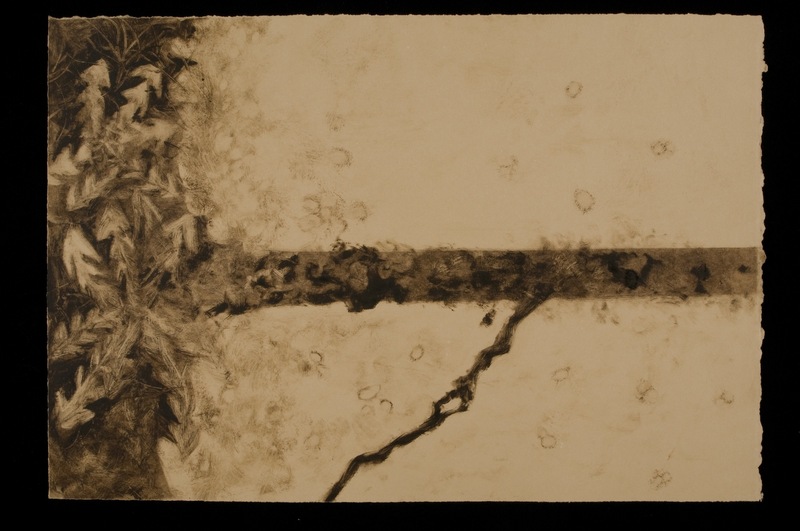 Sidewalk: Cracked Open, 2009, 4x4x16”, book with relief printing, solarplate intaglio, and monotype on a combination of handmade and commercial papers. 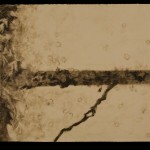 Sidewalk Crack with Dandelions (Sidewalk Crack series), 2009, 15×20”, monotype. 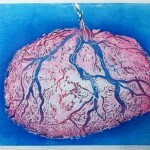 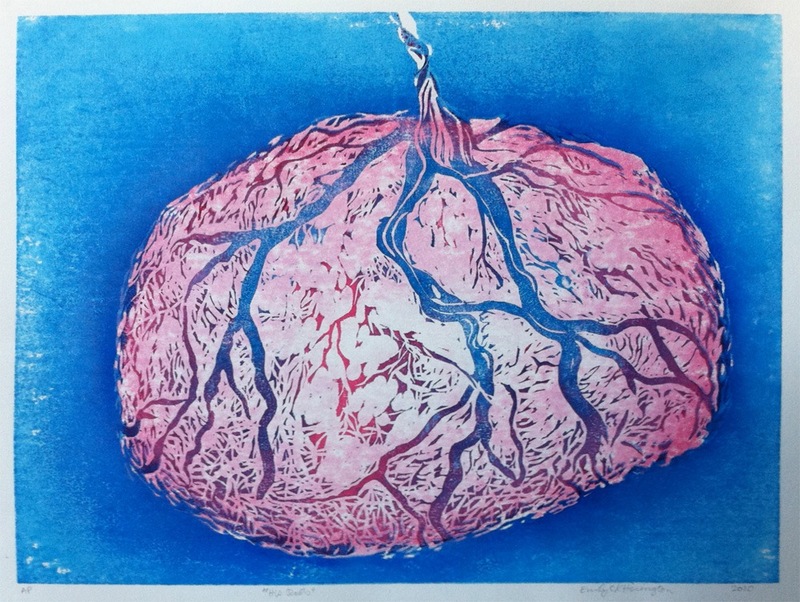 His Roots (version two), 2010, 15×20”, water-based woodcut. 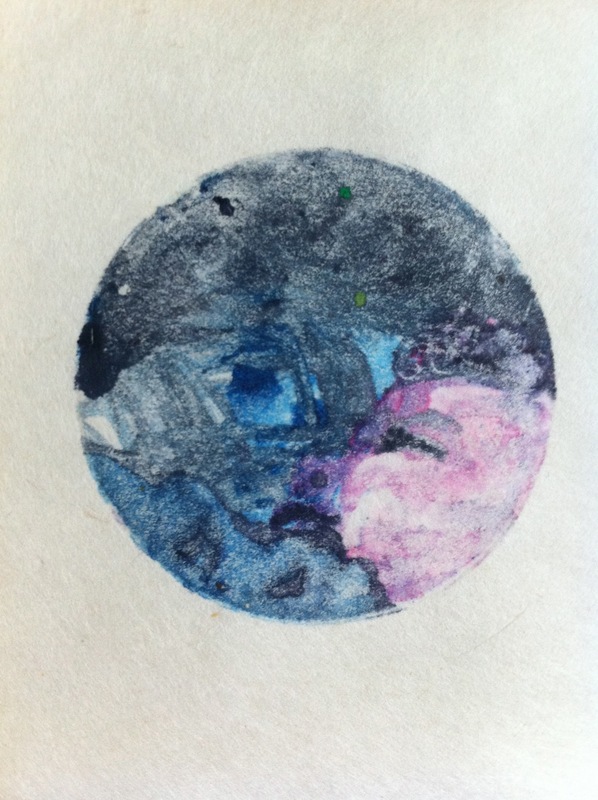 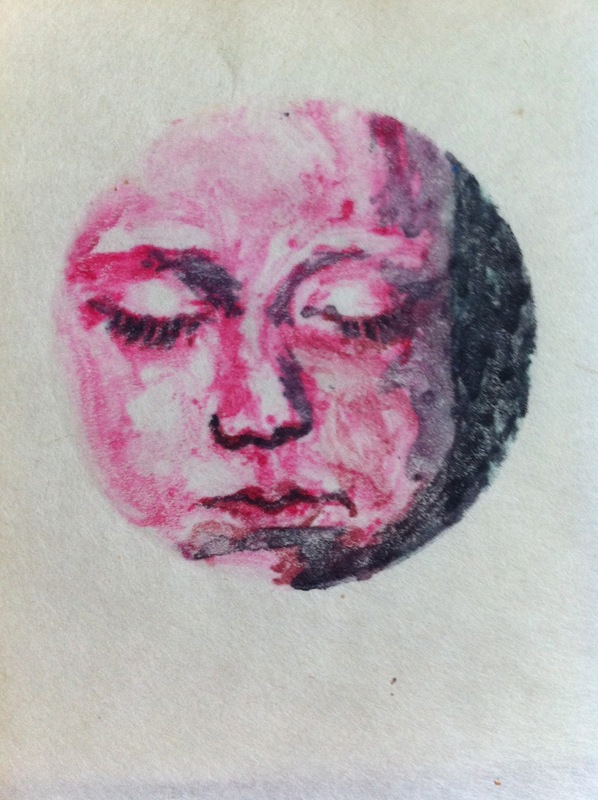 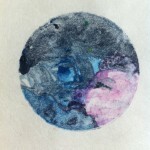 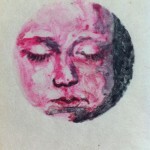 Sleep Circle #4, 2011, 3×3”, watercolor monotype. 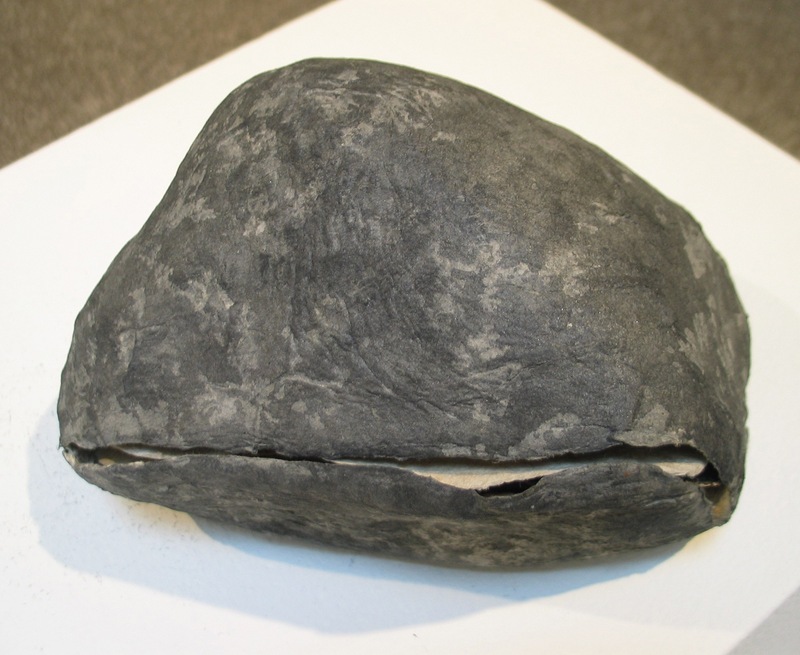 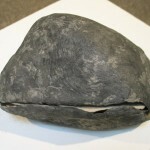 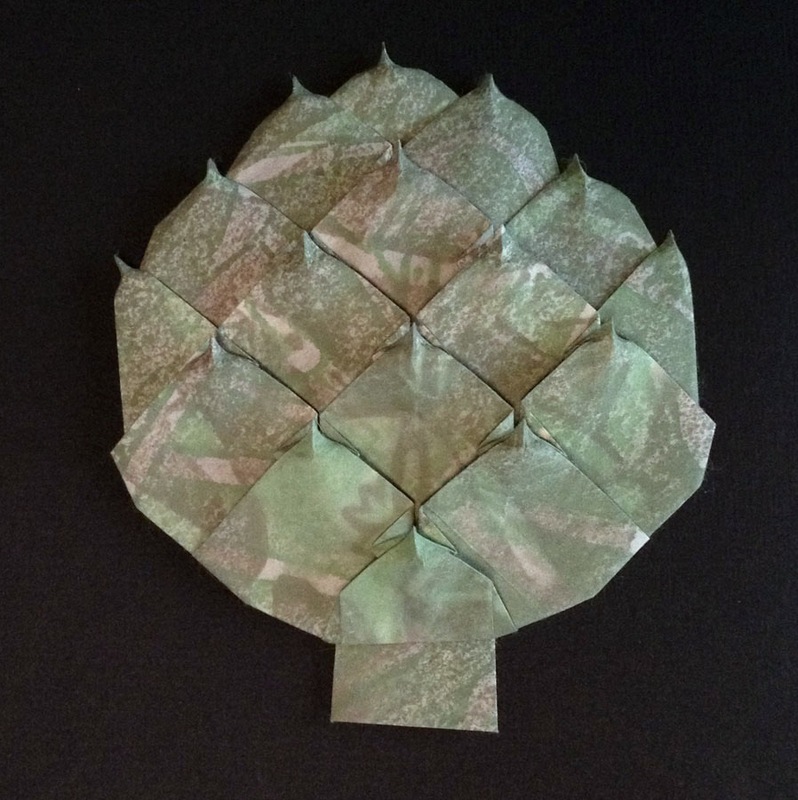 The Work of Growing Food: Artichoke, 2012, 4×4”, water-based woodcut by Emily Hoisington, origami design and folding by Jane Rosemarin. 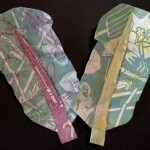 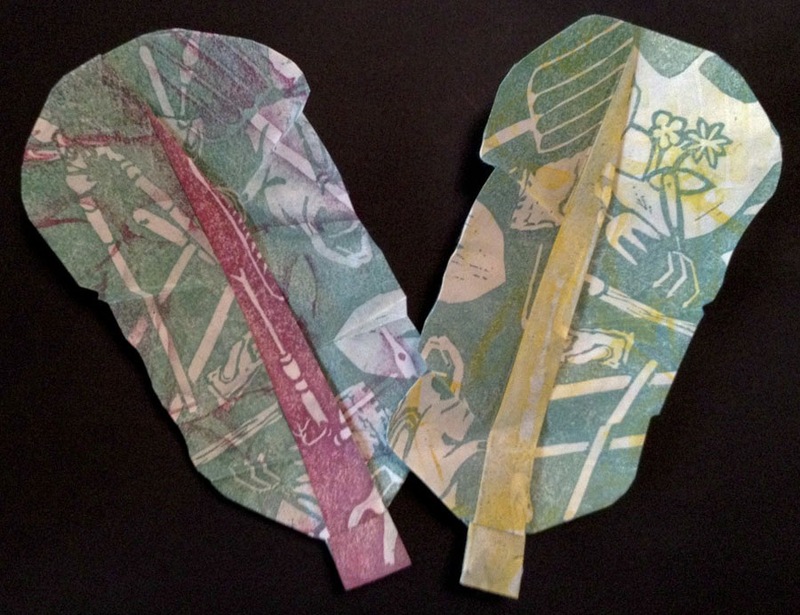 The Work of Growing Food: Rainbow Chard, 2012, 12×6” each, water-based woodcut by Emily Hoisington, origami design and folding by Jane Rosemarin. 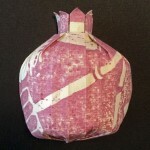 The Work of Growing Food: Pomegranate, 2012, 4×4”, water-based woodcut by Emily Hoisington, origami design and folding by Jane Rosemarin. 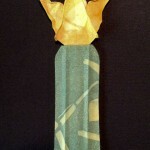 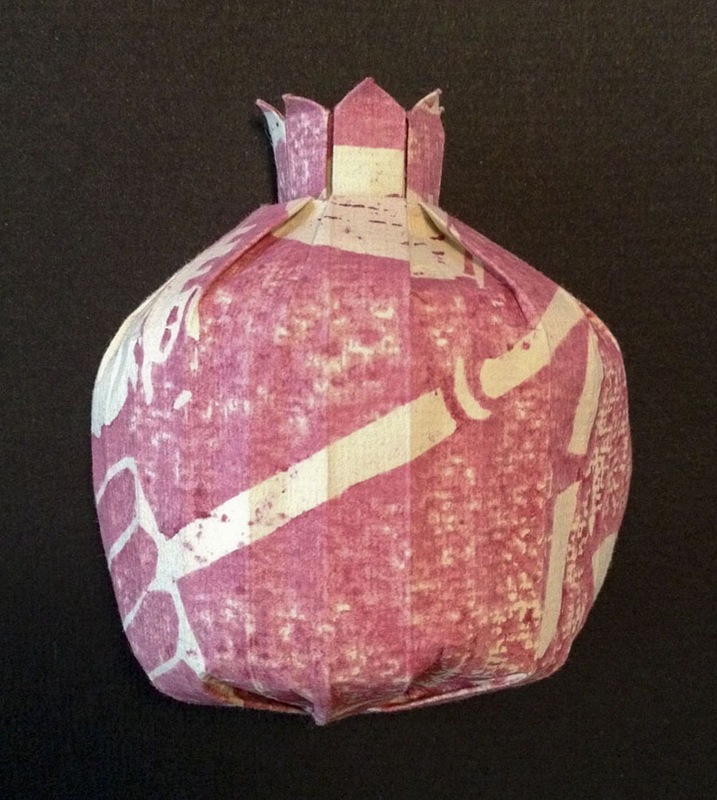 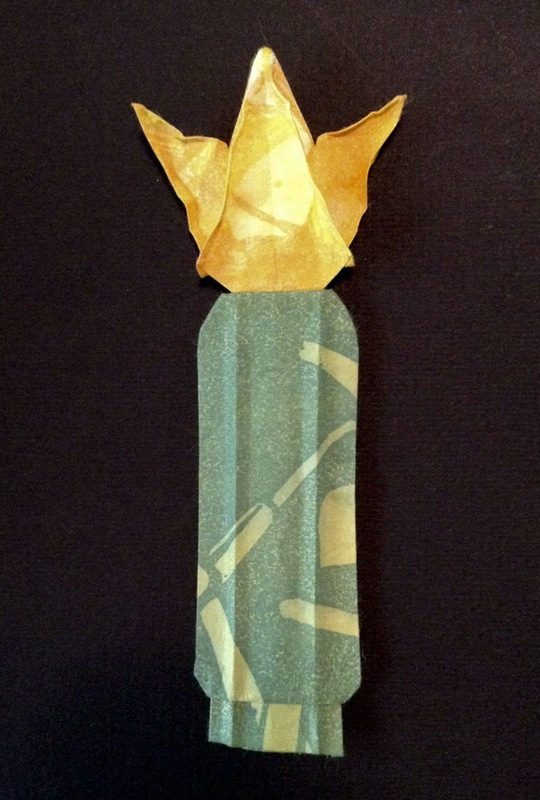 The Work of Growing Food: Zucchini with Flower, 2012, 5×2”, water-based woodcut by Emily Hoisington, origami design and folding by Jane Rosemarin. 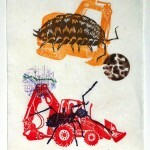 Diggers. 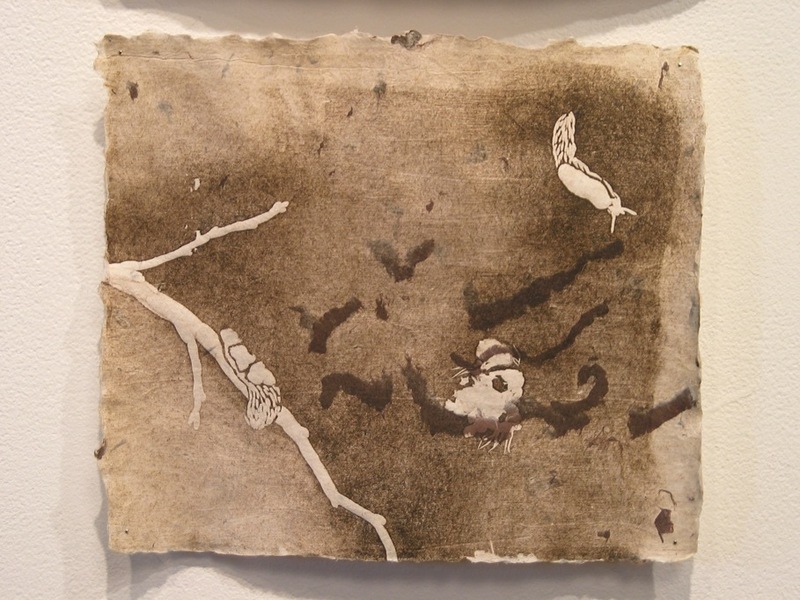 2012, 18×15,” water-based woodcut and monotype.